This week's Wild Card Wednesday is a two-fer...partly because I am having SO much fun with the kit & partly because I can't count how many weeks are in a month, but mostly because I am having fun with the kit. If you love this kit as much as I do, or want to see what else SCRAPTURES has to offer - visit the store or the blog. 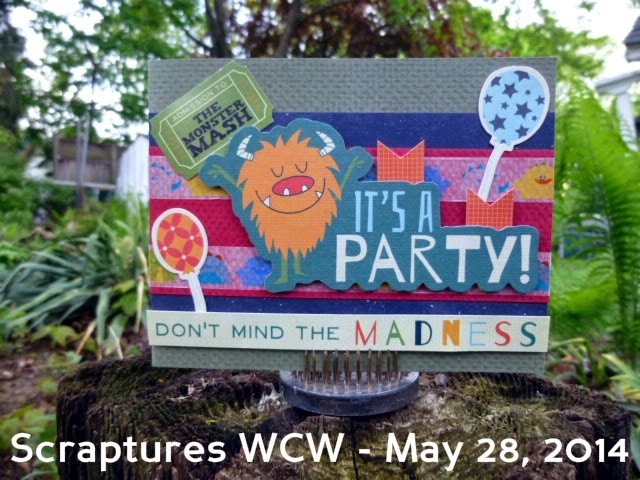 Thanks Christa for letting me showcase this month's card kit! Both cards are super cute. Great colours. Nice job with the kit. Counting? BAH, for amateurs. These ROCK. 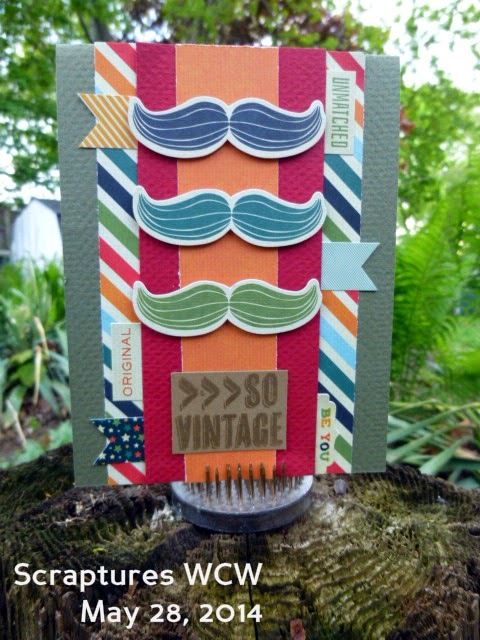 Love the multicoloured mustaches, but especially that monstah!